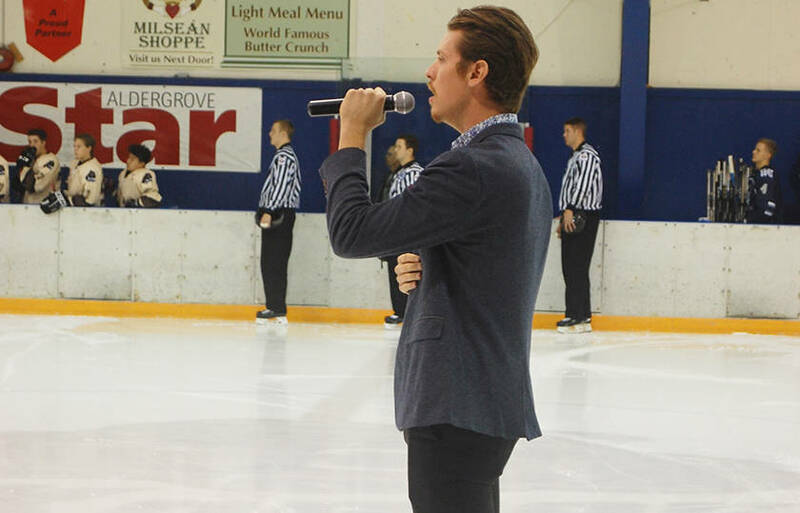 Levi DeWaal usually sings the anthem at the Kodiaks junior hockey games, but on Wednesday, Nov. 22 he also sang a Frank Sinatra classic for the crowd between periods, to the delight of all. Levi, 23, used to play junior hockey and enjoys watching his brother Jacob play for the Kodiaks. He currently in enjoying a career as a realtor in Walnut Grove with Homelife. Levi plays piano and writes his own songs too, in the pop style of The Weeknd. Levi DeWaal usually sings the anthem at the Kodiaks junior hockey games, but tonight he also sang this Frank Sinatra classic for the crowd between periods, to the delight of the crowd. Levi, 23, used to play junior hockey and enjoys watching his brother Jacob play for the Kodiaks. Levi plays piano and writes his own songs too, in the pop style of The Weeknd.